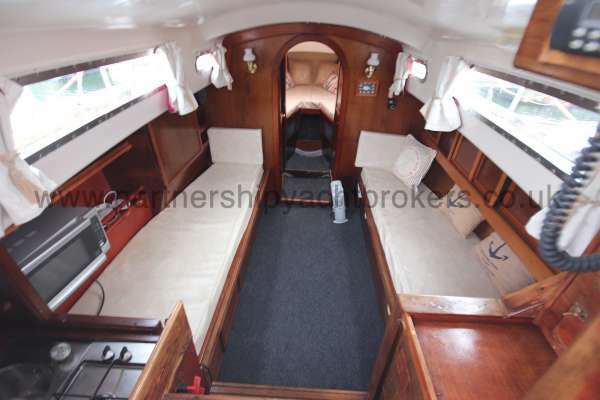 Designed by Van de Stadt, this version of the Legend was built in 1969 by Tyler Boats at Tonbridge in 1969. 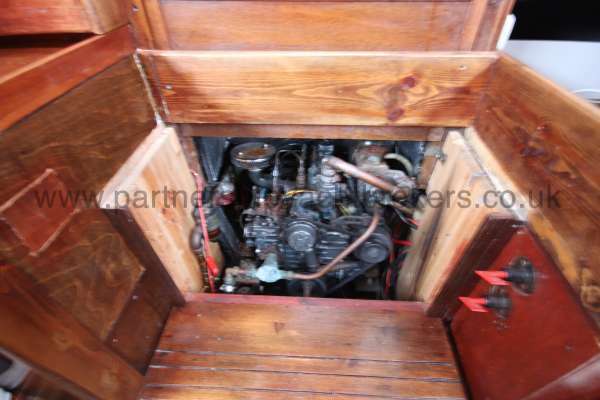 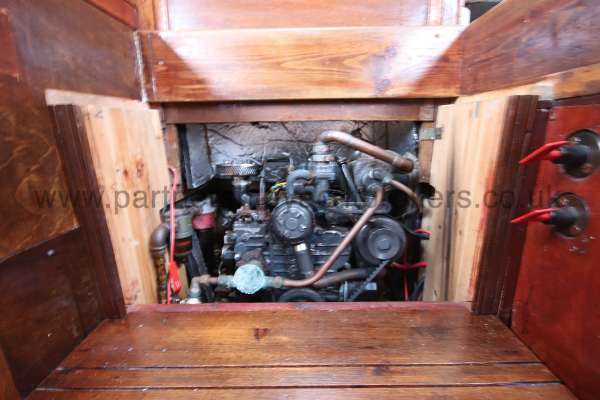 The original engine was replaced with a Perkins 18hp 3 cylinder engine in 2002. 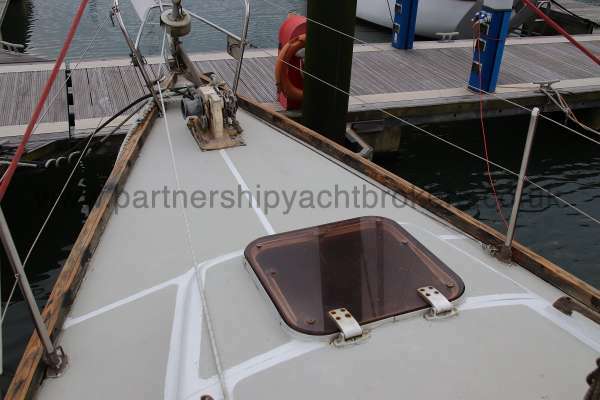 The hull has been copper coated. 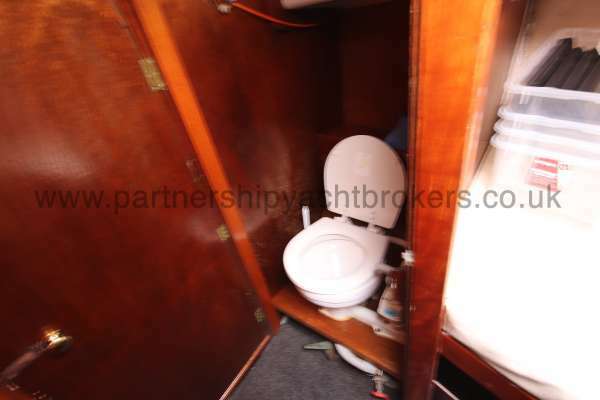 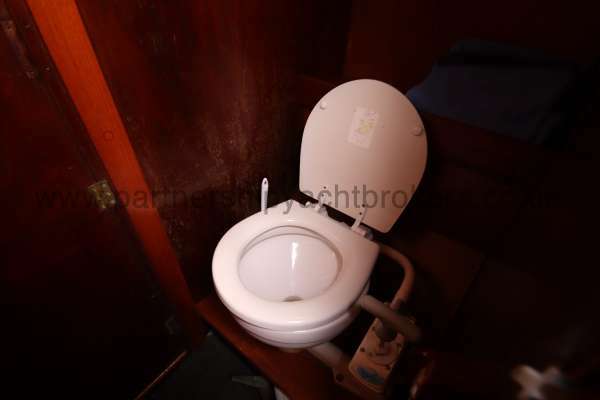 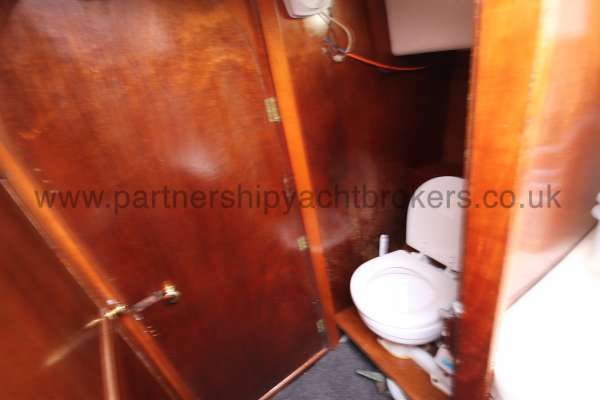 This is a well presented yacht, well priced and ready to go. 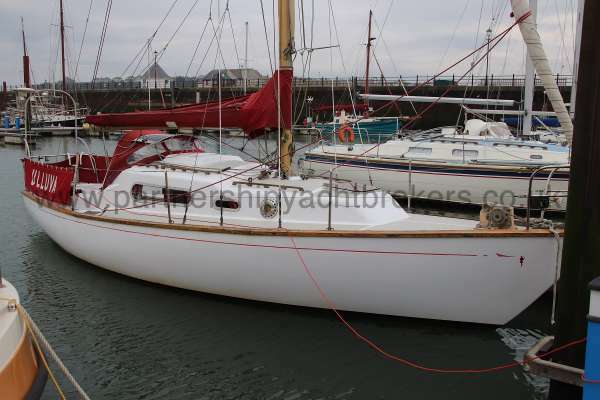 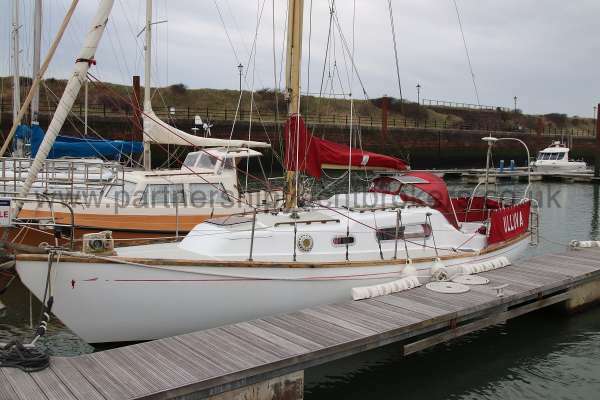 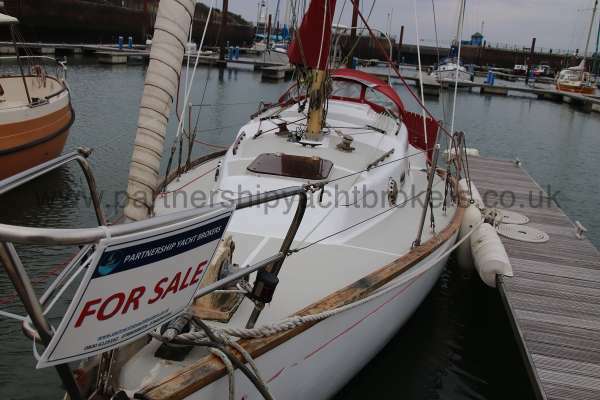 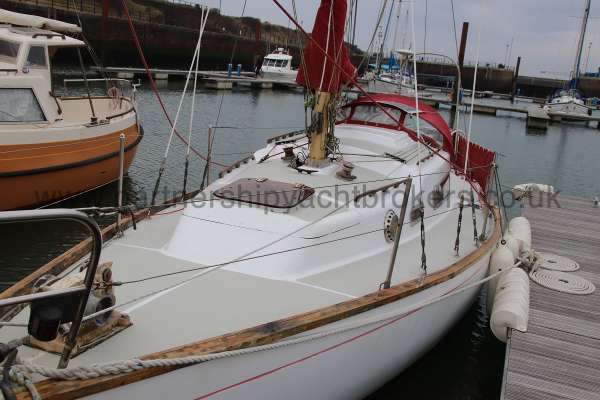 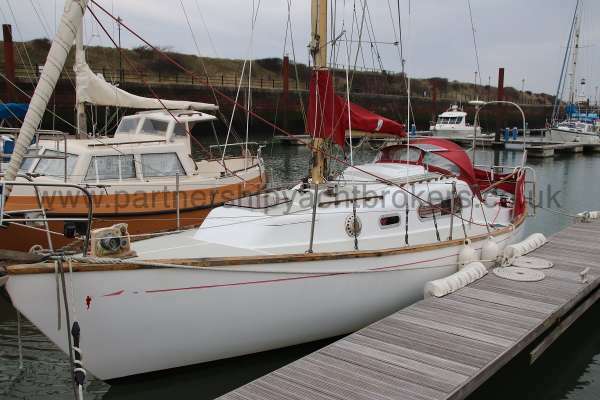 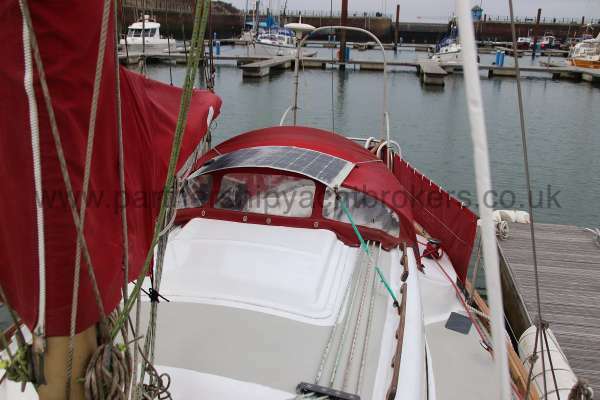 The owners have bought a larger vessel hence the reason for the sale. 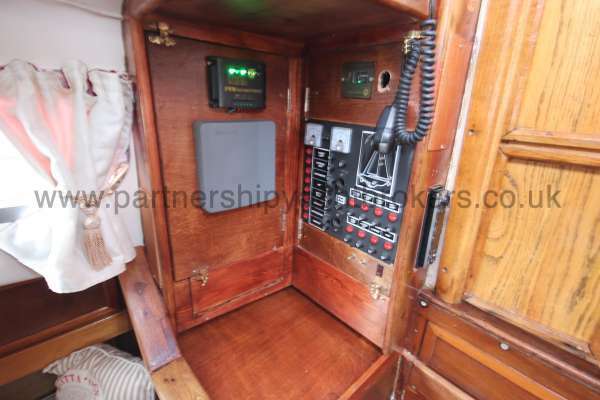 The accommodation is heated by a Marconi cabin heater. 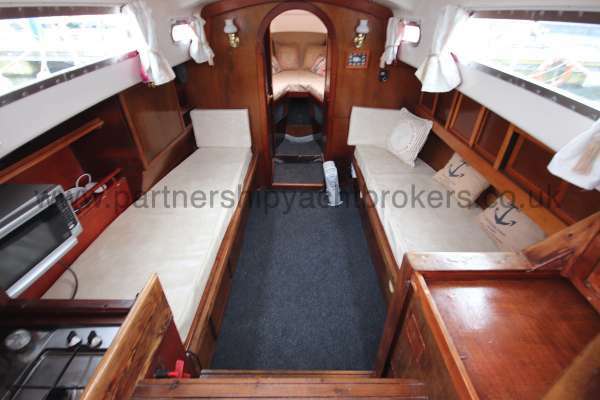 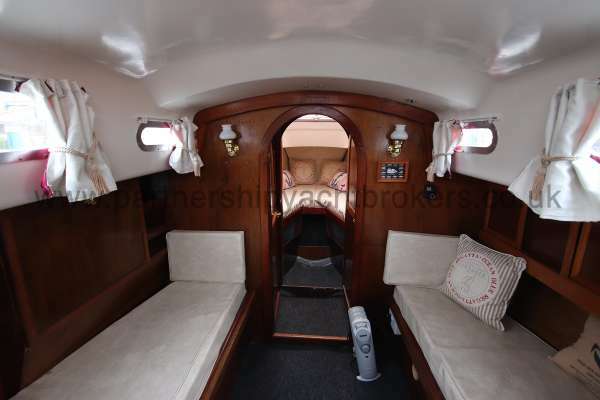 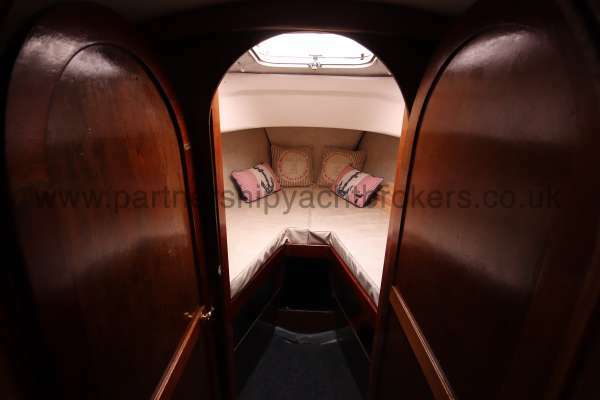 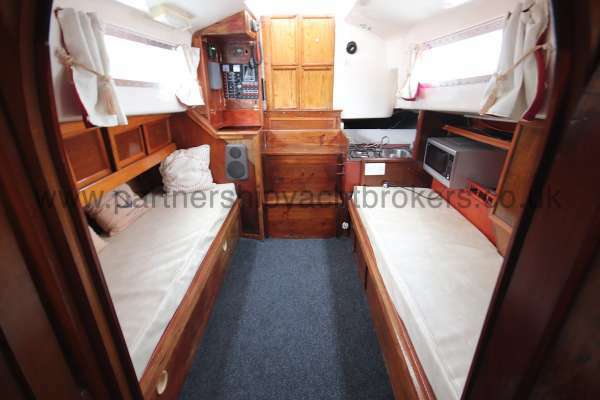 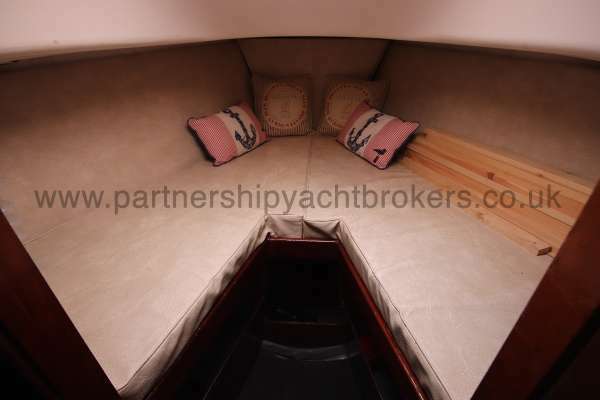 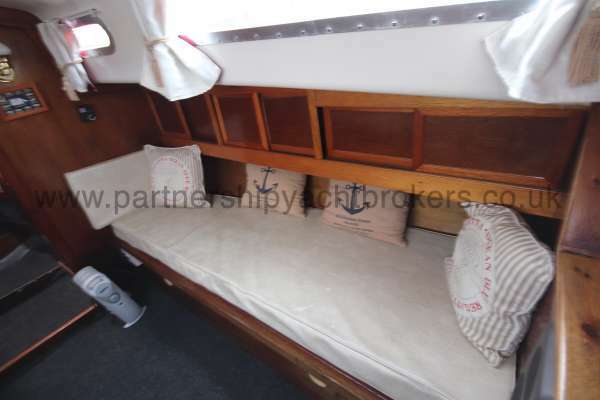 Two berths are available in the forecabin and two in the saloon. 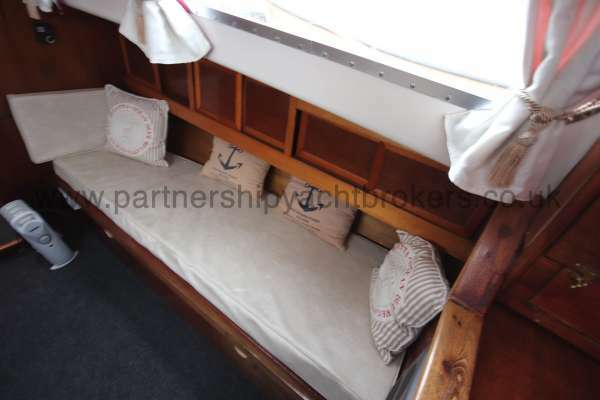 Slats are available to create a double berth in the saloon. 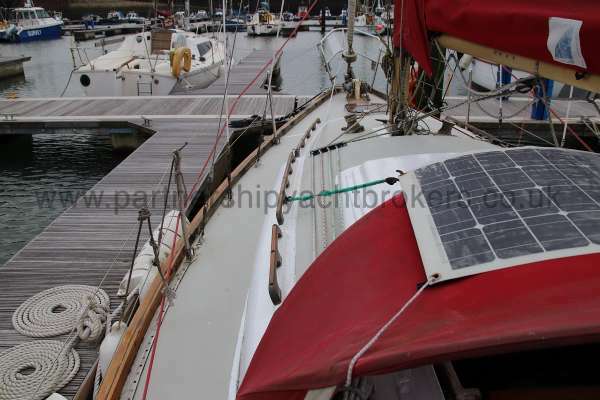 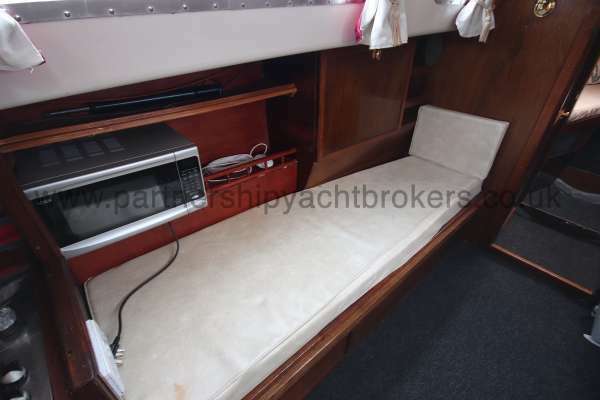 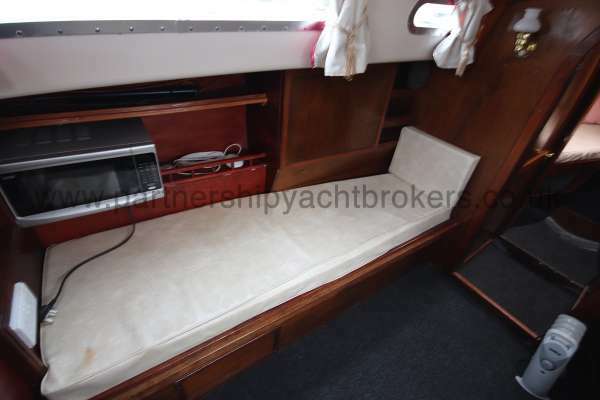 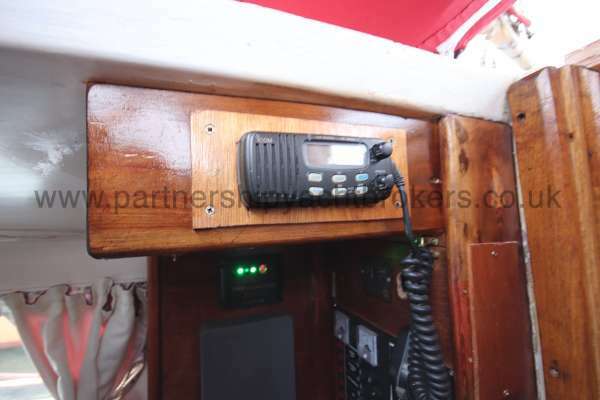 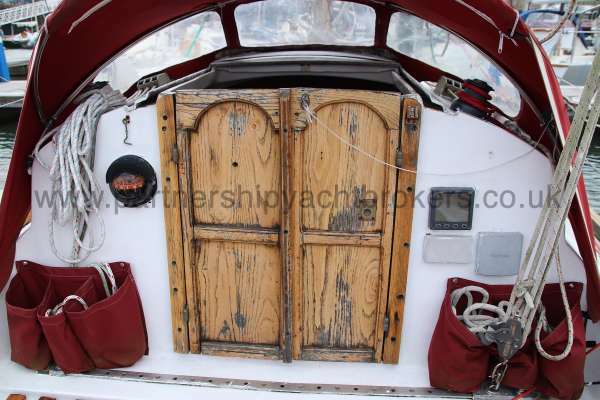 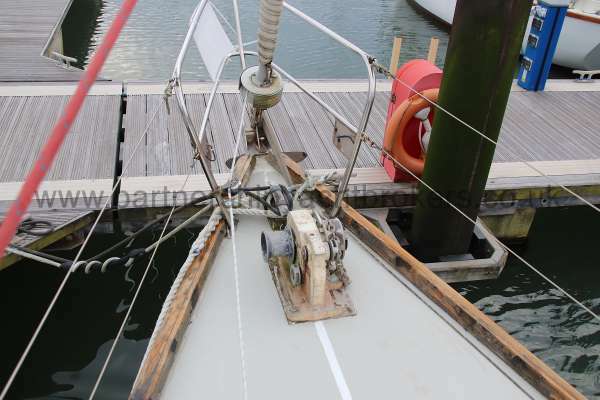 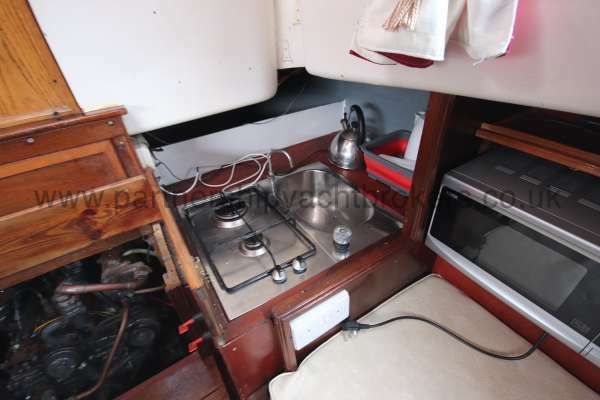 A pilot berth to starboard of the companionway can be available but the present owners use the space to house a 12 volt cold box. 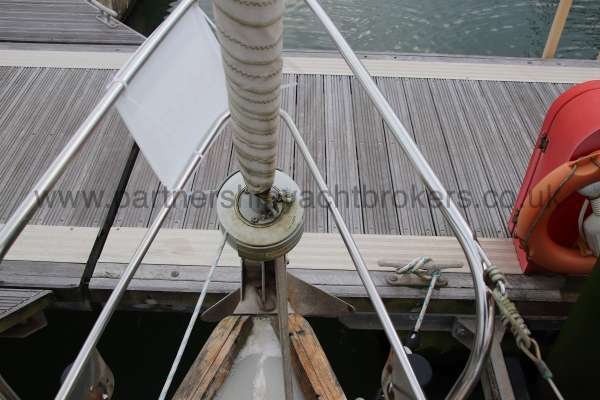 A table top slides across. 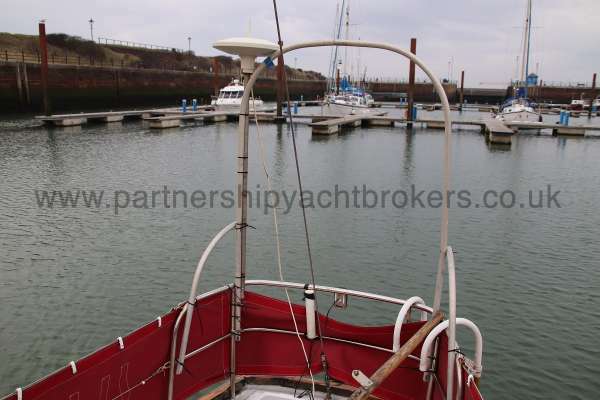 The heads is to port adjacent to the forecabin, with hanging storage opposite. 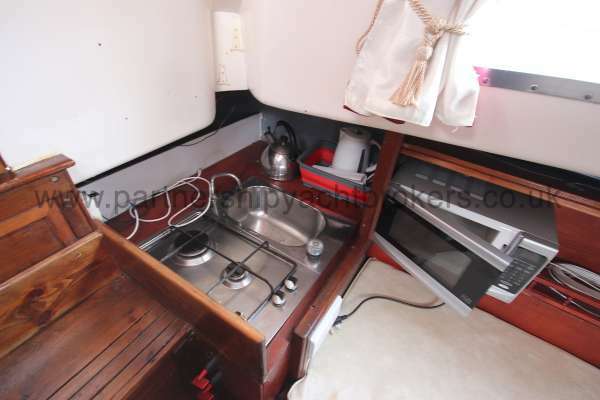 The galley comprises hob, sink and microwave. 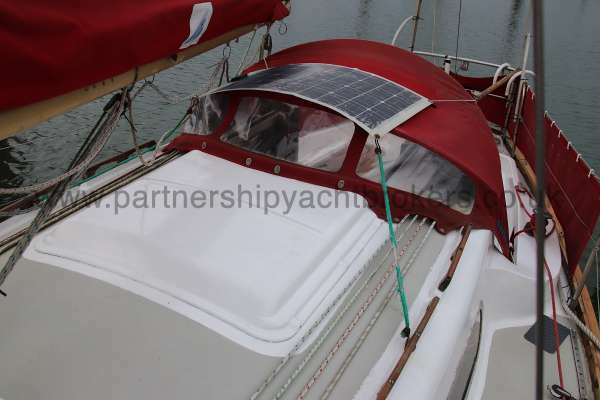 The pilot berth space is used to house a plug in 12 volt cold box. 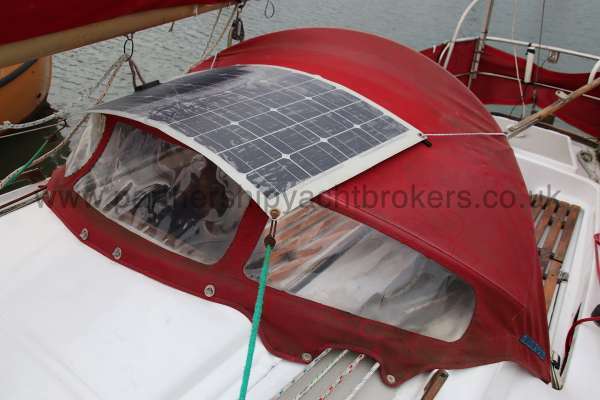 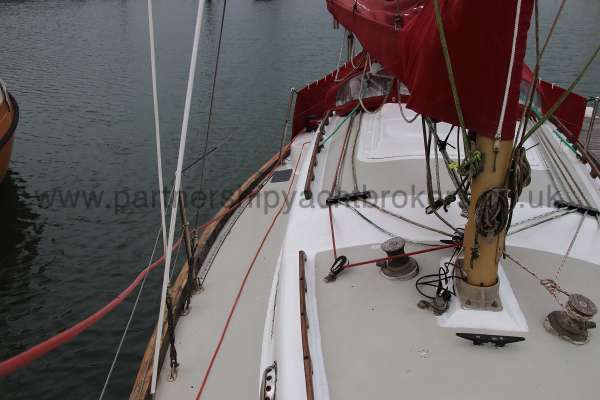 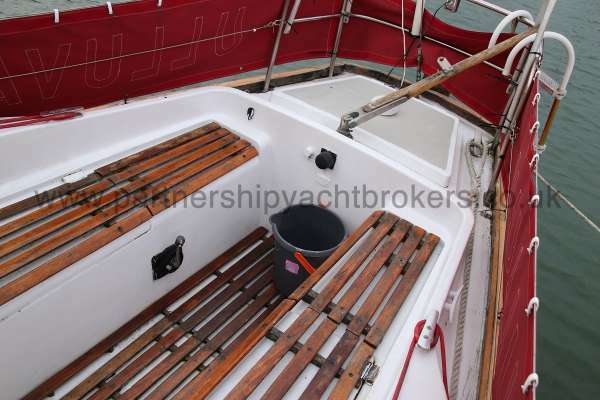 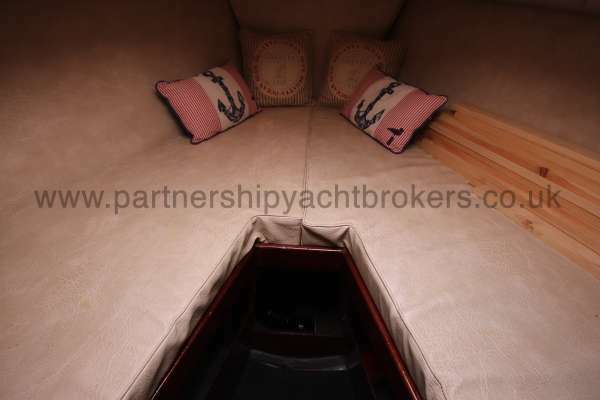 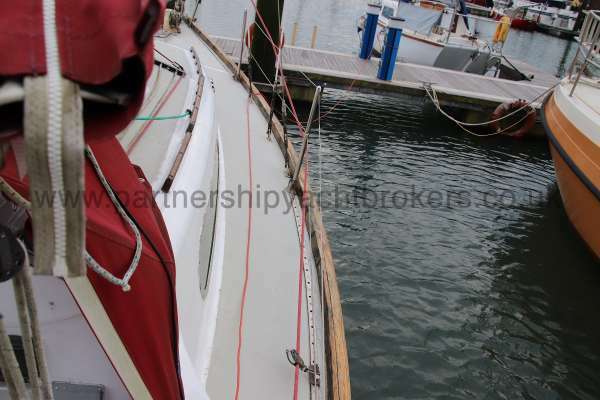 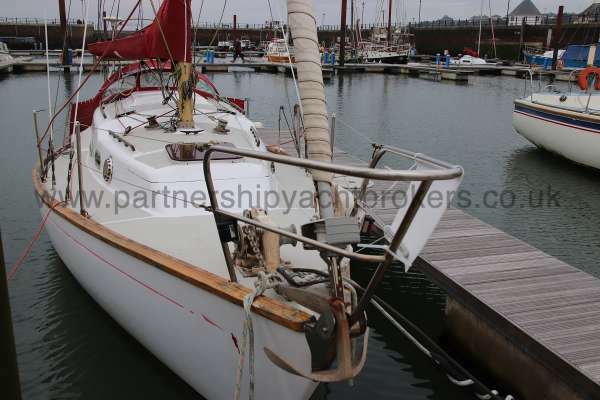 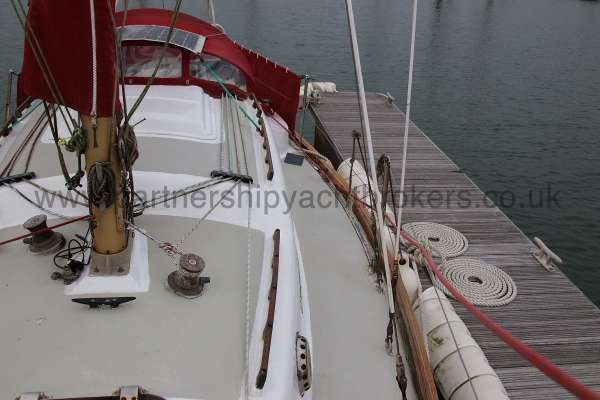 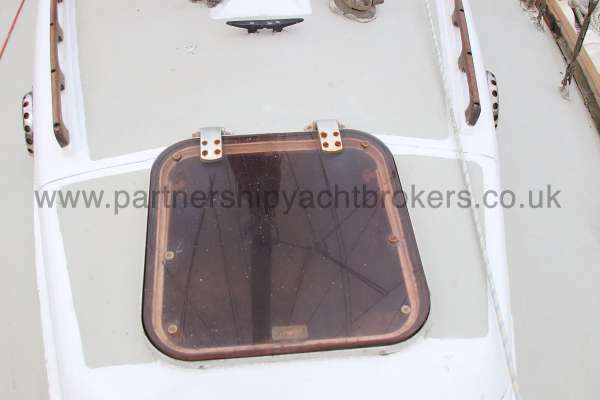 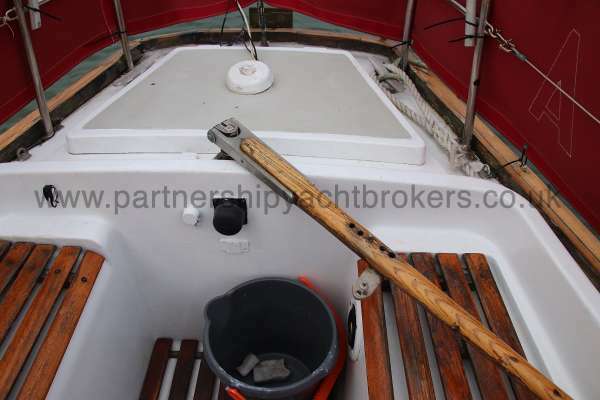 The photographs and details on this site are provided on the understanding that all negotiations will be conducted by Partnership Yacht Brokers acting as broker for the vendor. 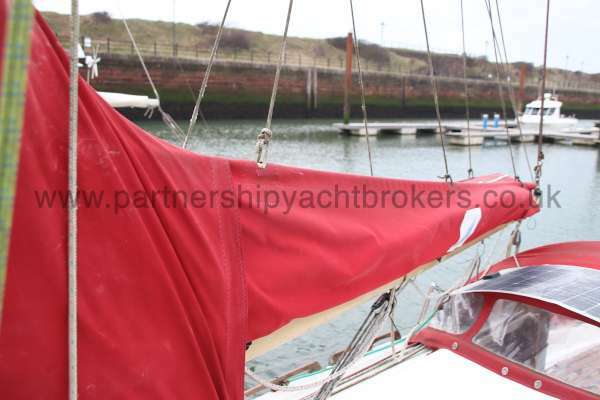 All photography and virtual tours remain copyright of Partnership Yacht Brokers 2016 - 2019. and may not be used or linked from elsewhere without first obtaining written permission.